TRACKLIST BELOW © 2014 Abora Recordings LLC. Follow the Abora Recordings Soundcloud profile here: https://soundcloud.com/aborarecordings. 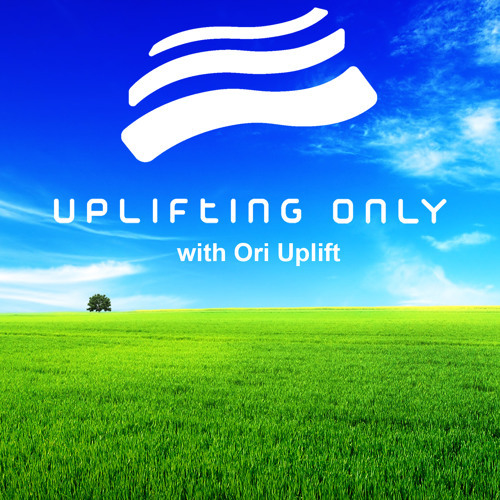 Follow Ori Uplift's Facebook here: http://www.facebook.com/oriuplift Uplifting Only with Ori Uplift: Episode 088 (incl. Phil Langham Guest Mix) The Best in Orchestral Uplifting & Uplifting Trance Show information at www.upliftingonly.com. All tracklists & links at http://tracklists.upliftingonly.com. With a guest mix by Phil Langham! And with 4 exclusive world premieres! TRACKLIST: 1. [0:00:31]: FAN FAVORITE: Driftmoon & Andy Blueman feat. Dsharp - Leviticus (Ahmed Romel Remix) [CDR] 2. [0:05:23]: PRE-RELEASE PICK: Dark Fusion - Changing [Silent Shore] [WORLD PREMIERE] 3. [0:10:12]: Tycoos - When It All Falls Apart [Synchronized Melodies] 4. [0:15:43]: Frank Dattilo - Don't Forget Me [Trancendental] [WORLD PREMIERE] 5. [0:21:36]: BREAKDOWN OF THE WEEK: Playme - For Love (Emotional Mix) [Abora] 6. [0:28:01]: ID - ID [Abora] [WORLD PREMIERE] 7. [0:33:42]: Afternova - Breaking Dawn [Time Leap] 8. [0:38:10]: Moonsouls - If I Still Believe (Ultimate Remix) [Infrasonic Pure] 9. [0:43:17]: Minamoca - Supernova [Alter Ego] 10. [0:49:46]: ID2 - ID2 [Abora] [WORLD PREMIERE] 11. [0:55:14]: George Boston - Starlight (Libra Remix) [Veritas] 12. [1:01:30]: Emre Yildiz & Marwan Jaafreh - Ihlara [Ternary] 13. [1:06:08]: Abide - The Last Sadness [Synchronized Melodies] 14. [1:10:47]: Frank Dattilo - Leonida [Pulsar] 15. [1:16:07]: tranzLift - City of the Gods (Peter Smith Remix) [Beyond the Stars] 16. [1:21:06]: Tom Dillenthal & Dim Line - Unexpected Thoughts (A.L.A.M.I Remix) [TFB Records] 17. [1:25:44]: Arctic Motion - Aurora [Redux 138] 18. [1:30:09]: Magic Sense & Simon Moon - Source of Happiness (Peter Smith Remix) [Beyond the Stars] 19. [1:35:56]: Raddle B & Nellu vs Marcprest - 7 Billion People 14 Billion Faces (Philler Music Remix) [Trancer] 20. [1:41:06]: Frank Dattilo - Angel's City [Linger] 21. [1:46:47]: Alex Shevchenko - Relief (Ula Remix) [Beyond the Stars] 22. [1:50:29]: Mehdi Belkadi - Dream [Vectiva] 23. [1:55:22]: Haig & Raffi - Votum Separatum [Shah-Music] ----------------------- Remember to vote for your favorite songs! http://j.mp/uovote. Ori cares about what you think! Voting results for all episodes can be found on Facebook at http://j.mp/uoresults. To sign up for weekly tracklist emails, go to http://j.mp/uosignup. Each week, each Thursday, a new episode airs on DI.fm (Epic Trance channel) at 1200 EST/EDT, which usually corresponds to 1800 CET / 2130 IST. It is posted to Soundcloud, Mixcloud, & iTunes as a podcast soon thereafter. @tomy-fmd: Oh right hehe. Thanks! Is there anyway to know what track was mixed in at 56~61 min? I can't stop listening to that part!